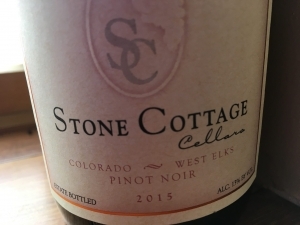 Spicy, soft and full-bodied, the 2017 Syrah opens with black fruit giving way to warm butter and baking spices, followed by a toasty pepper finish. 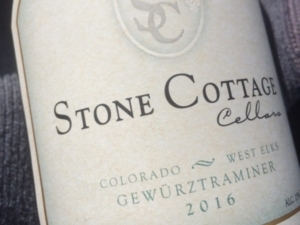 This wine has a lower acidity than most of our other wines and shines both as a sipping wine or paired with cured meats, light barbecue, and smoked Gouda cheese. 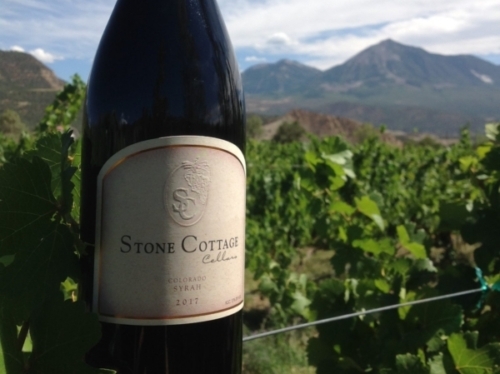 The ’17 Syrah was grown for us in the Grand Valley by a 5th generation fruit-growing family. We have been sourcing Syrah from the same vineyard for nearly two decades and the growers allow us to select which rows we want to harvest and when. The sugar levels climbed quickly as harvest approached and we crossed our fingers, hoping the characteristic Syrah flavors developed before the grapes became over-ripe. Bacchus smiled on us and the harvest came together perfectly. Our whole berry fermentation began with a 3 day cold soak allowing the juice to pick up additional flavor and color from the skins. After inoculation on day 4, fermentation in small vats kept peak temperatures below 74 F. We punched the caps down every 4 hours during the 24 day fermentation, and initiated the malolactic fermentation at the peak of the alcoholic fermentation. A 4 day post fermentation cold soak allowed the must to accumulate additional flavor, color and tannin compounds. 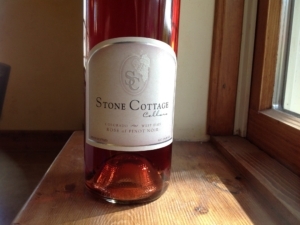 The new wine was pressed directly into barrels, 100% American Oak originating in Minnesota. 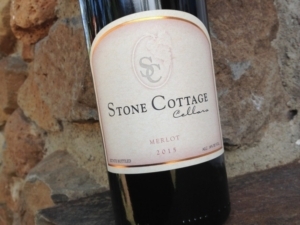 A combination of new and older barrels provides oak and spice overtones and a smoothness that is a hallmark of this wine. Malolactic fermentation completed in the barrel. Bottled in Aug. and Oct. of 2018, after 9 months of barrel age, an additional month of bottle age delayed release until Fall of 2018.